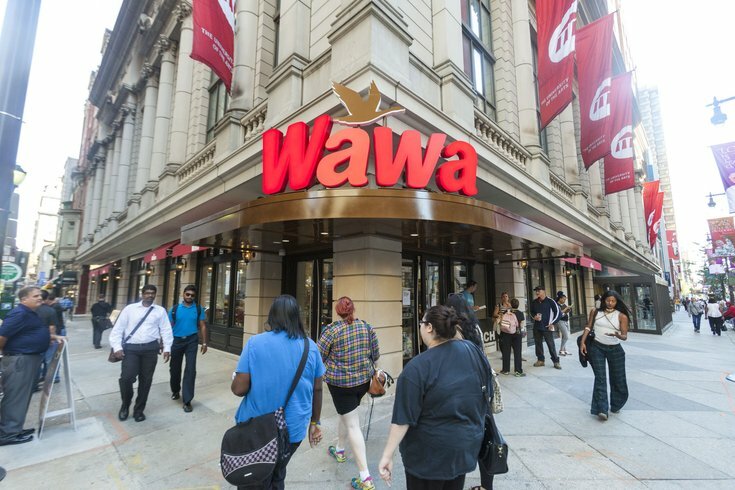 The Wawa at Broad and Walnut Streets, which has been a 24-hour location since opening in 2015, is changing its hours. Feds searching for Pennsylvania man who threatened Trump, D.A. The new policy began Friday, as one Reddit user pointed out, with the store now slated to close nightly from 11 p.m. to 5 a.m. This is a significant shift from the often-crowded location's status as a late-night thoroughfare. The new hours come after a series of incidents at the location, including a stabbing last month that sent a 27-year-old victim to Jefferson University Hospital. The stabbing occurred around 6 a.m. Within that week a 22-year-old woman was stabbed in the back three times outside the same Wawa at 12:28 a.m. Shortly after the incidents, the store removed its stools, which had previously lined the counter along the windows for eating in-store. The Broad Street Wawa is now the only one in the downtown area to not operate 24 hours. The closest Center City location is at 1900 Market St.